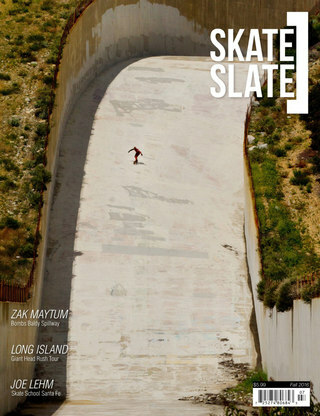 Zak Maytum​ bombs the Mount Baldy Spillway on the cover of Issue 32. Get behind the cover thanks to Justin Rolo​, Venom Skate​, Madrid Skateboards​ and Rogue Trucks​. As another season of shredding, traveling, and general fun starts to warm up, make sure you don’t miss another issue of Skate[Slate] Magazine. With the best photography, interviews, and stories in the biz, Skate[Slate] Magazine keeps you up to date and will fuel your fire to get out and skate!